A rule from the International Association of Athletics Federation (IAAF) that says women athletes with higher-than-average testosterone levels must compete in mens categories is coming under intense and increasing scrutiny—before it’s even official. Human Rights Watch (HRW) has joined the list of organizations criticizing the IAAF’s rule, as the Guardian reports. The rule states women athletes running races between 400 meters and one mile with testosterone levels above 5 nanomoles per liter must lower said hormone level in order to compete with women. In a new open letter, HRW says this amounts to gender discrimination. The letter comes as the battle over hormone testing and gender classifications in sports is becoming increasingly public. 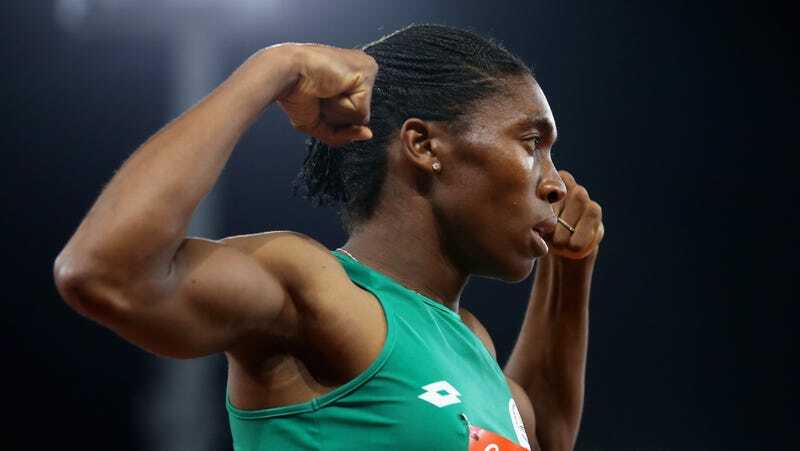 In June, South African runner and two-time Olympic gold medalist Caster Semenya said she would challenge the IAAF’s rule in the Court of Arbitration for Sports (or the “Supreme Court of international sports,” according to the New York Times). Athletes rushed to voice their support of Semenya; over 60, including Abby Womach and Billie Jean King, signed a letter calling for the IAAF to ditch the new rule.